Creates rounded points. Sharpens thin to thick pencils. Catches shavings. Multi-purpose sharpener. This premium sharpener fits a variety of thin and thick pencils with removable plug to accommodate cosmetic crayons. 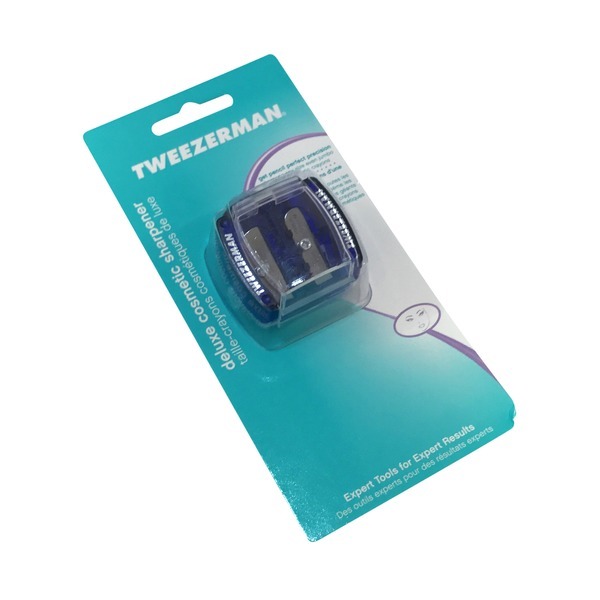 Patented double blade system creates rounded tip that resists breakage and is gentle on delicate skin. Made in Germany.